Who among you already jumped into a waterfall? Count me IN! I was able to jump in one of the waterfalls in Sagada. The waterfall is called Bokong Falls also known as the "small falls". Dubbed as Twin Falls, Bokong Falls has two cascading waters standing at a height around 20 feet. If you’re brave enough, you can jump into the higher one. It has a plunge pool where the falling water meet the river below. The water is somehow turquoise color. Bokong Falls is located at the edge of rice fields and it’s like 5-10 mins walk from the main road. According to our guides, the water below is about 8 to 10 feet deep. The whole area is not that big and it’s surrounded by big and small rocks. The water is not that cold compare to the water inside the Sagada Cave Connection and Sumaging Cave. The guide asked who wanted to jump in Bokong Falls. Honestly, I don’t want to try it. It’s very scary and dangerous. I know for myself I’m not that good in swimming and this is the first time I ‘m going to jump in a waterfall. Most of the guys in our group jumped into the waterfall. 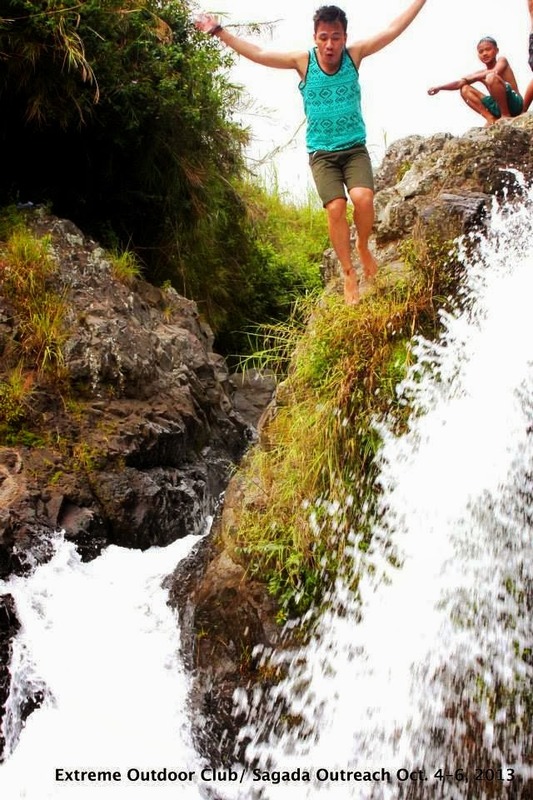 There's one girl who’s braved enough to conquer her fear in heights and water. This scene really motivated me. What I’m also thinking that time, our guides are really big men. I know they can easily rescue me in case something happened or if I’m drowning lol. I prayed a lot and called all the saints before I jump into the waterfall. After a couple seconds, I’m into the (like) jacuzzi pool of the waterfall. One of our guides helped me to go up to the rock. I’m a bit scared but everything was worth it. My heart beats so fast. I can’t imagine I did that exciting and cool stunt. Tropa! You need to bring extra shirt because you’re bounded to be wet in this activity. It’s advisable to wear slippers or sandals or shoes which can be used in river, streams and so on. I'm not encouraging everyone to jump into the waterfalls. This is a bit dangerous especially for those people who don't know how to swim. There're risk involved in this activity. So you need to be careful when you gonna do it. Jumping in Bokong Falls is one of the unforgettable adventures I did in Sagada. This is my first time to jump in a waterfall so I cannot forget this activity. Thank you Extreme Outdoor Club and Edzell Herrera for this great experience. 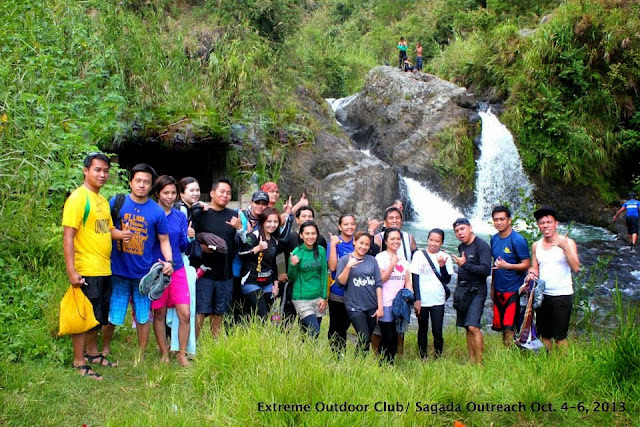 Don’t also to forget to visit the other beautiful waterfall in Sagada- the Pongas Falls. See you on my next adventure. Thank you for reading this post, please share it on Facebook, Twitter or Google+. 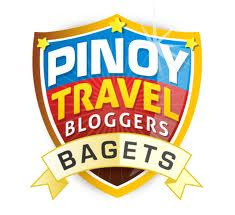 You can also leave comment about this post or share your experience if you'd been on the featured tourist destination. 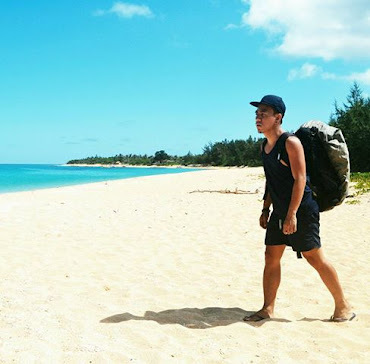 Travel Tropa is a personal travel blog that features a review in any destinations not only in the Philippines and also to any parts of the world. 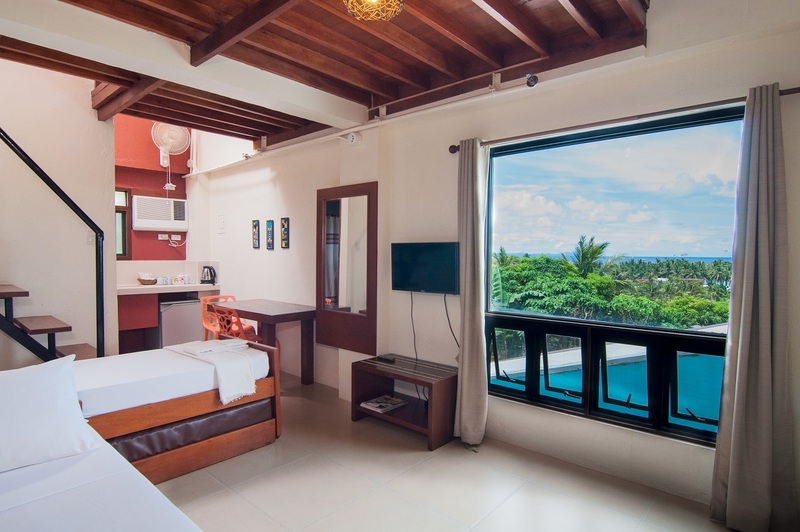 It also features hotel, resort, theme parks, restaurant, package tour, itinerary and among others. I think i would rather take pix and watch? hahahaha, ayoko mag lakad ng basa.. Malamig pa naman dyan.